When you or a loved one have suffered a stroke, it can be very frightening to begin the recovery process. Often, many survivors notice an impairment in their cognitive and/or physical functioning. Their fine motor skills may decrease, and their ability to problem solve and remain focused may diminish. While some of this reduced function may be due to damage caused by the stroke, further problems can be reduced by activating the brain and exercising your body. Providing stimulus can, in some cases, allow your brain to begin creating new connections to compensate for damage. This is known as neuroplasticity. 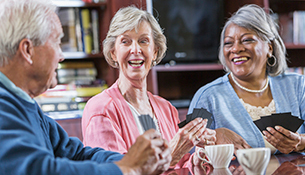 Over time, survivors may be able to regain some of their pre-stroke abilities. Though stroke rehabilitation treatment is important, there are other methods that are useful for recuperating. Many fun and enjoyable activities can be done alone or with friends and family that assist with wellness and redeveloping lost skills. Pastimes that are amusing allow you to remain engaged in what you’re doing and keep you motivated to continue on the road to recovery. If you’re unsure of what kind of activities would be suitable, we’ve compiled a list that spans a variety of types. Whether you prefer to be learning, creating, doing physical or mental activities, there is something here for everyone. Play a Game: Whether you’re playing a board game, card game, video game, or computer game, there is strategy involved. You must anticipate your opponent’s move while planning your own victory. Any game involving small pieces or specific clicks increases motor skills as well. Cook a New Recipe: Cooking a new recipe requires focus, attention, and accuracy. It also provides a delicious outcome for your efforts! Take Up Photography: Not only will you create lasting memories with your photography, you also get a chance to express creativity and take in some beautiful surroundings. 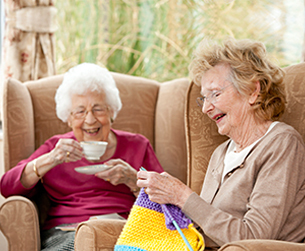 Knit or Cross Stitch: Both knitting and cross stitching can be quite relaxing. Consider gifting or donating finished pieces if you don’t need or want them to help your community. Write: Letters, stories, or journals are all useful outlets for survivors, as it lets you have a creative outlet and a way to document your feelings during recovery. Paint or Draw: Another great way to express creativity, painting allows the use of different colors and textures, and enhances fine motor skills and works on grip strength. Gardening: Gardening gives you an opportunity to be outside and enjoy the sun and fresh air, while also improving coordination and endurance. Practice Yoga: Yoga is great for improving overall health, along with balance and flexibility. Dance: Not only is dancing fun, it also is a great workout. Go for a Walk: Walking is a simple way to get exercise. Look for an indoor walking track if the weather is not permitting outdoor activity. Activity Books: Crosswords, word search, and sudoku books provide a lot of mental stimulation, and can be picked up and returned to at any time. Puzzles: A jigsaw puzzle is good for motor skills, as well as concentration and logical processing. Read or Listen to a Book: Books help to pass time and engage your imagination by bringing you into the story. If you find yourself needing more in-depth care, Wyndemere Woods Assisted and Independent Living Community in Woonsocket, Rhode Island offers high-quality services and amenities for residents. Personalized care by a dedicated team enables us to deliver the level of physical and social support each resident requires. An aging in place option helps residents make a smooth transition from independent to assisted living. Give us a call at 401-762-4226 to learn more about our assisted living facility in Rhode Island, or fill out this online form to book a tour.